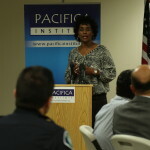 Ramadan started on the 17th of June this year and in the very first day of Ramadan- 2015, Pacifica Institute hosted an iftar meal with Temple Judea. Fasting starts an hour and a half before the sun goes up and continues till the sun goes down. Muslims abstain from eating, drinking and they also be come more spiritual by reading the Holy Book Quran during this month. But what makes this month a valuable one for Muslims is that it is a time to share the food with the needy, colleagues, friends and neighbors. 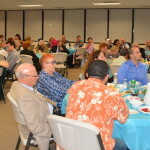 On this very first day of Ramadan, several families from Temple Judea arrived to Pacifica Institute Northridge half an hour before the fast breaking time and distributed Challah- traditional Jewish bread to each table where side dishes had been served. 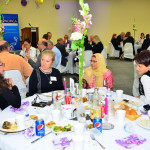 Soup and main dishes had been served to the tables after a video about Ramadan was presented to the guests that talks about not only the physical and spiritual aspect of fasting but also the social side of it. 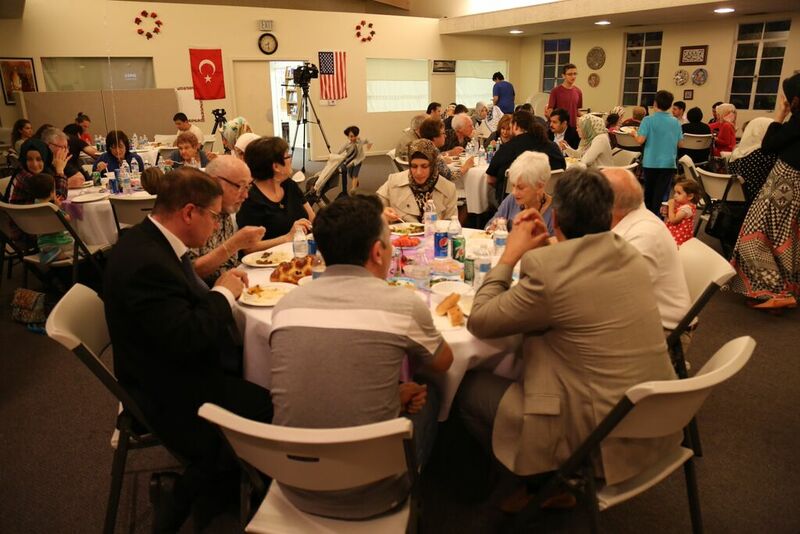 With the call to prayer announced near the end of the video, people broke their fast and started their conversation around the dinner table. 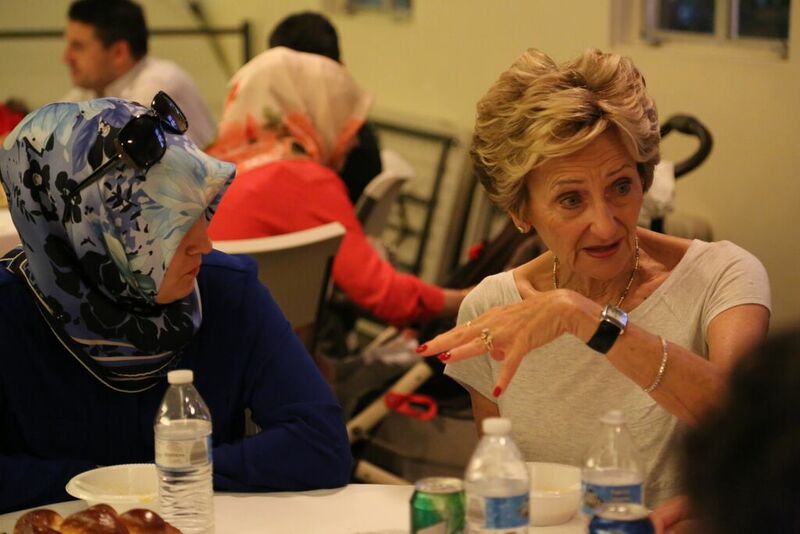 When desserts were served, Melih was invited to the podium to perform art of ca lligraphy. 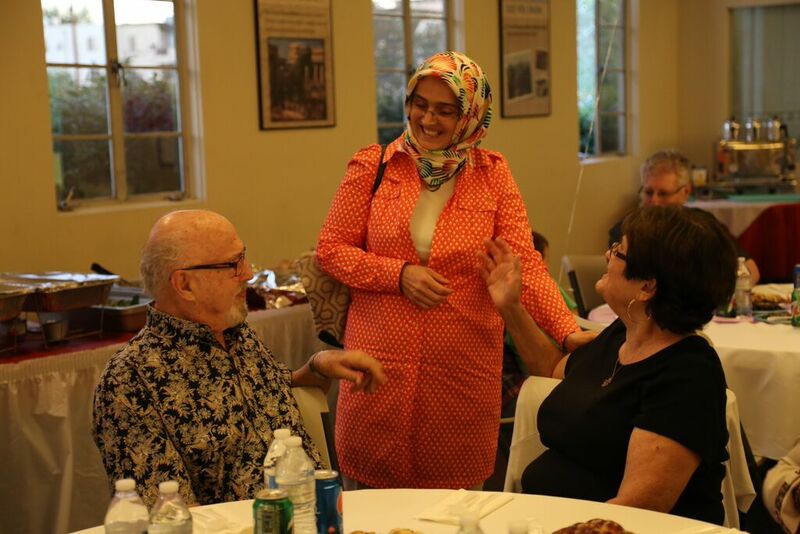 Melih is from an Arts Center in Huntington Beach and calligraphed the words WELCOME TO THE RAMADAN DINNER and HAPPY WIFE HAPPY LIFE. Then guests were invited to have their names’ calligraphed. Michael Opell made the closing remarks of the night where he emphasized the significance of these types of gatherings and how this relationship grew over the years.